Experience gaming and home theatre at new levels of immersive cinematic quality graphics with the unprecedented combination of power and performance featured in RADEON 9550 graphic cards. 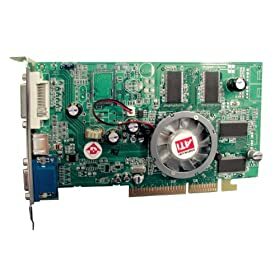 The ATI Catalyst drivers wont work well with Vista on this older card. However they work fantastic with XP. Item will be shipped when payment received. Item is one year old and in good working condition. Comes with original box including CD Rom with drivers. Accepts: Check , Money Order or Pay Pal.